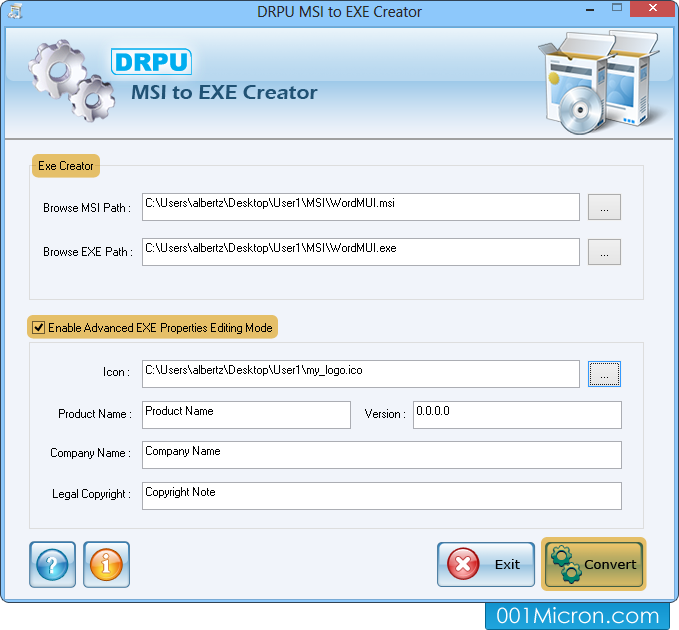 Browse path of MSI file to convert into EXE file. 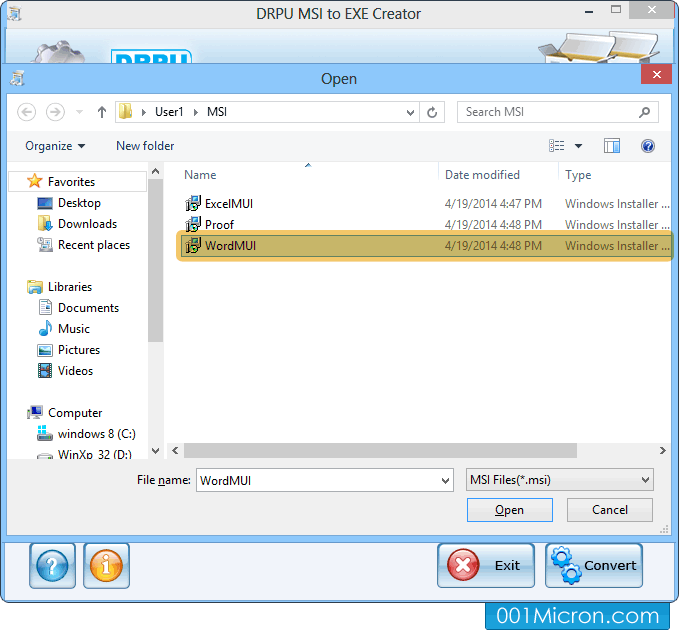 Select .msi file from given files to convert into .exe file format then click on “Open” button. 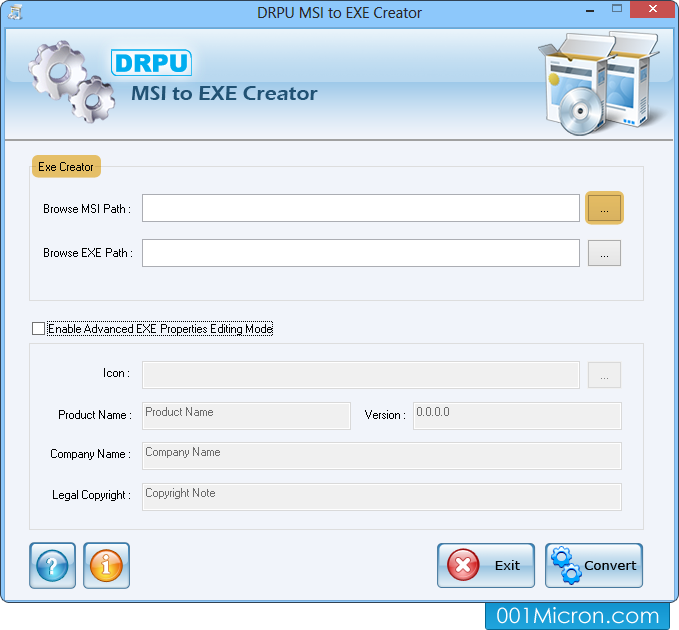 Browse MSI path for selecting .msi file then browse EXE Path where you want to save converted .exe file. Click on “Convert” button to start conversion process.